Mailbox locks are an important part of security, especially when you don’t want people accessing your mail or packages. Whether it’s for your home, apartment complex, or business, a mobile locksmith will be able to help you with installations and repairs for your mailbox locks. 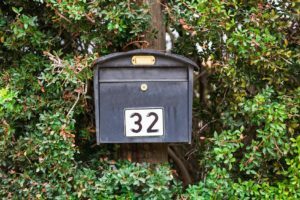 At Pros On Call, we can also provide 24-hour mailbox lockouts solutions. Our residential locksmiths are well-known for always providing fast, friendly and high-quality services at transparent prices that work with your budget. We are available 24/7, arrive in under 30 minutes, and all of our expert technicians are licensed, bonded, and insured. Give us a call and let us know how we can help you! 24-Hour Lockout Solutions, Installations, Repairs And More! Mailboxes come in various shapes and sizes. You can have specific units that have locks, and some may come as a single while others may include 12 or more mailboxes. 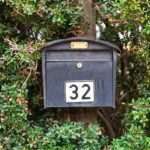 Regardless of the type of mailbox you have, it’s important to have locks, ensuring you limit the number of people who can access your mail. Our residential locksmiths will be able to help you with a mailbox lock repair, such as if someone tried to pick the lock. Residential mailbox locks are used in apartment buildings, condominiums, and in various housing communities. Whether it’s for your property or a property that you manage, you can have an emergency locksmith come out at any time in order to provide you with a lockout service, a replacement key, or anything else that you might need. At Pros On Call, we are here to make life easier for you. You can talk to us about the various locksmith services options we provide. As a mobile locksmith company, we show up with a fully stocked van. This includes having all of the latest tools and equipment in order to get the job done quickly. We have gained a reputation for being a high-quality service provider who is professional and friendly. We are also licensed, bonded, and insured. Contact us today to schedule a mailbox lock service anytime. When you have a mailbox lock, you want to make sure that you are able to get in at all times. This means having the key as well as a high-quality lock. To avoid a lockout, we recommend keeping the mailbox lock in good condition at all times. This can be done by lubricating the lock from time to time. You also don’t want to put anything else in the lock other than the key. And if the key doesn’t turn, don’t force it. Call a locksmith to come out and fix the problem. Mailbox Locks https://prosoncall.com/locksmith/residential/mailbox-locks/ 4.1/5 based upon 27 reviews.